One of the arguments advocates of OER use to publish learning materials under an open license is “learning materials payed by taxpayers money should be available for free”. I do not know how often this argument is used in other countries and what its impact is, but in the Netherlands I notice it is hardly used and (even worse) hardly considered a convincing argument. When I was wondering about activities to initiate more discussion and awareness on this, I remembered the senator Cato in the Roman Empire. 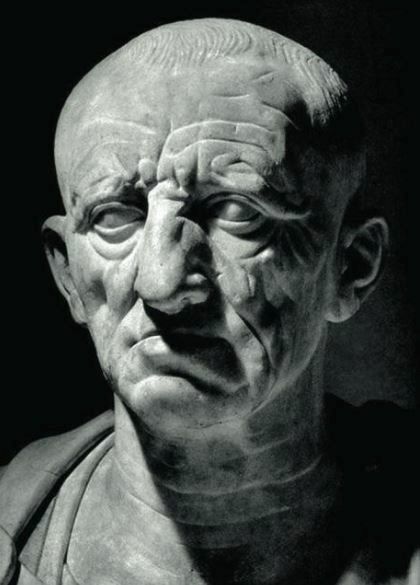 Marcus Porcius Cato Censorius maior lived from 234-149 BC. He was extremely worried about the growing power of Carthago, considering this a major threath for the reign of Rome. To articulate this worry and to generate continuous awareness and discussion on this matter, he accustomed to end each speech (regardless the subject) with the words “Ceterum censeo Carthaginem esse delendam” (Incidentally, I believe that Carthago should be destroyed). This means “Incidentally, I believe that learning materials, paid with taxpayers money, should be available for free”. Hopefully, this will add to generate more awareness and discussion on this standpoint, ultimately leading to open being the default for learning materials. Using Latin instead of English solves a problem: which word is more to the point: “should” (making it an recommendation) or “must” (making it a certainty)? I leave it to the user to choose his/her version when translating! In the end, Carthago was destroyed in 146 BC, at the end of the 3rd Punic War. Unfortunately, Cato did not witness this because of his death three years earlier.